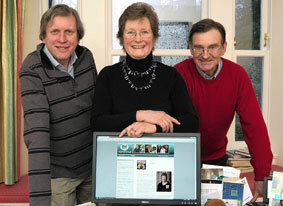 Pictured launching the Lord-Lieutenant's website are, left to right, web designer Rob Elliott LVO, Lord Lieutenant Janet Bowen and Deputy Lord Lieutenant, David Lockett. Apple’s official list of problematic apps remains concise. A far more exhaustive compatibility list is provided by the community-edited snowleopard.wikidot.com. If you’re working in a group project, you’ll want to keep everyone on the same page, and one of the best ways to organize your thoughts as a group is by using a wiki. WikiDot is a great, simple, wiki hosting solution that students can utilize to create an unlimited number of wiki pages to organize their projects and group research. Of the Macintosh apps than have been tested on the gold master of OS X v.10.6 as of Wednesday morning, more than 60 either don't work or have major problems, according to snowleopard.wikidot.com, a collaborative project that is collating independent test results. Le soluzioni di hosting HTTP su Internet certo non mancano, ma Wikidot.com si distingue dalle altre per concezione e realizzazione, grazie a un'offerta che si specializza nella gestione di wiki. By creating a wiki, you can easily organize your information by any format you wish, as well as allowing only your game players (or those you choose) to make updates. The downside to having your own wiki is that you need your own hosting service and site. Alternatively, if you like the idea of controlling your own wiki, you can utilize a free wiki service like Wikidot to provide a complete wiki for you, hosted and installed.